I have extra extra wide feet and need to wear women 6.5 in 4E (or XXwide). After I received this pair of 4E shoes, I found out they are actually regular width (not even a 2E). Please correct to avoid misleading other customers like me. 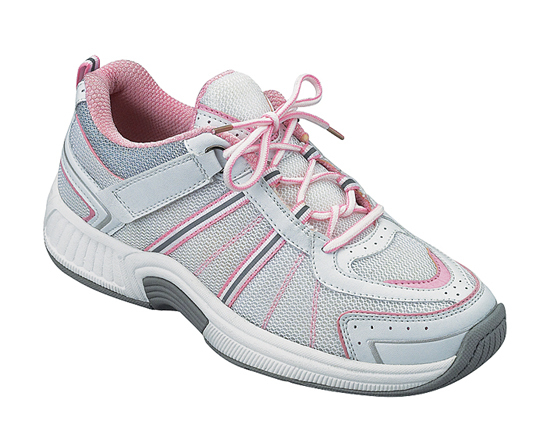 Advantages: Orthotic support, easy on and off, 2 additional optional inserts for perfect fit. After reading the positive reviews, I had high hopes for these shoes. They are not what I expected at all. I have some what less foot pain, but it's not greatly relieved. I haven't worn orthopedic shoes before. I have no comparison and don't know what, specifically, to look for in a shoe. The Velcro is not helpful. If I tie the laces comfortably and try to use the Velcro tab, it never goes back into place and leaves the shoe loose on my foot. Disappointed all around. 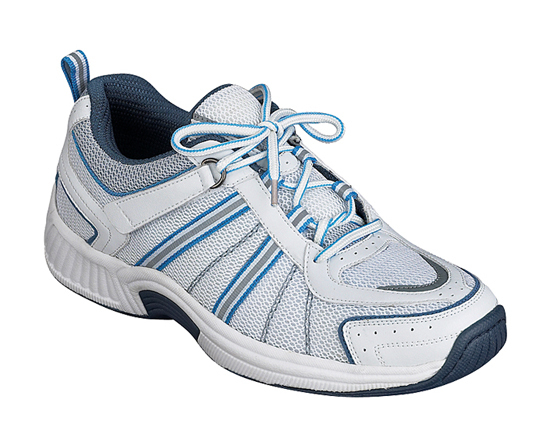 Advantages: Suited for orthotics and stylish looking.